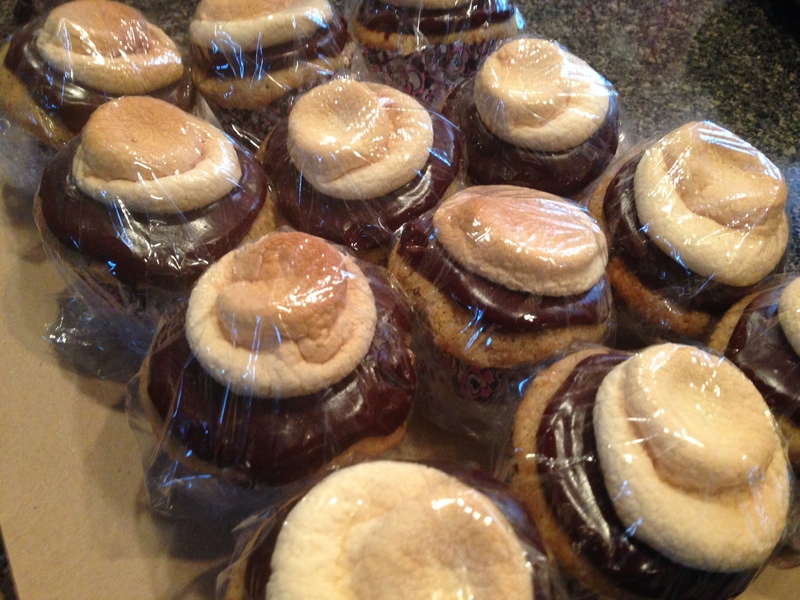 Clump #242: Finish S’mores Cupcakes; final day of the seven-day bake-a-thon. 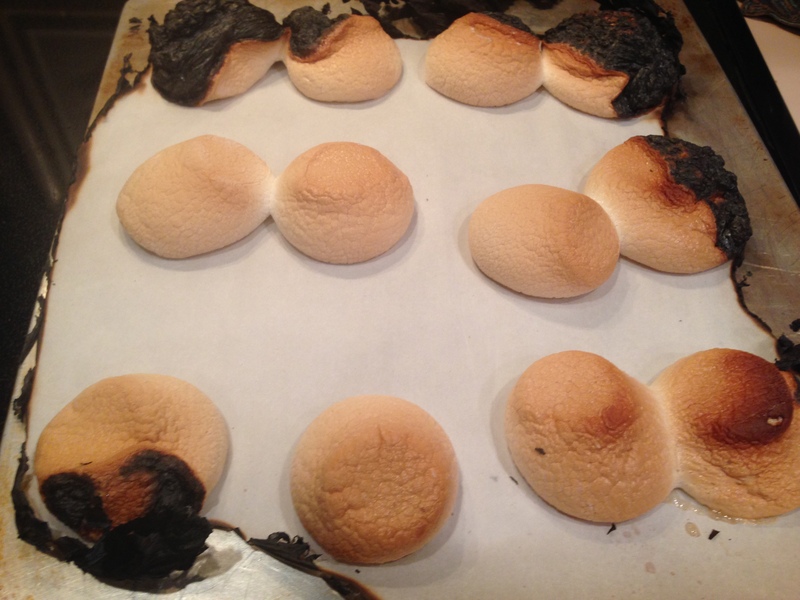 So, first off, the marshmallows caught on fire. Funny, now, though not at the time; the parchment paper had been too close to the heating element in the oven. Oops! Take two. The chocolate part of the s’more cupcake called for chocolate ganache, which I had never made before. Wow. Cream and really good chocolate. How can you go wrong? 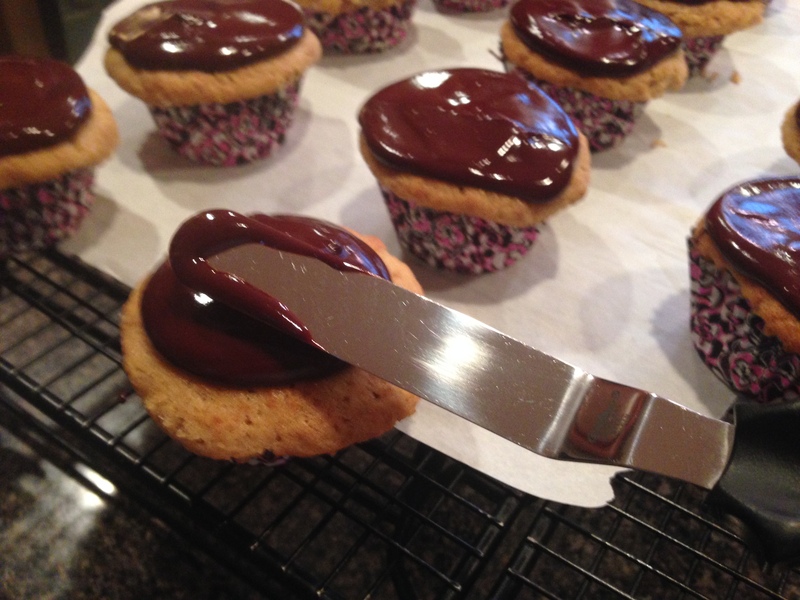 I used about a tablespoon on each cupcake and spread it out from the center. 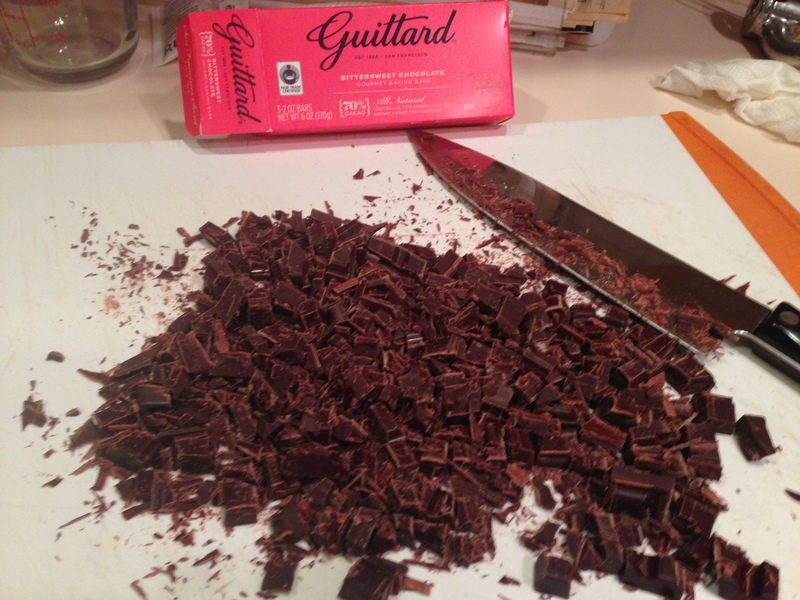 After it had set, it was a cinch to wrap … usually a challenge with frosted cupcakes. Fall Festival, here they come! 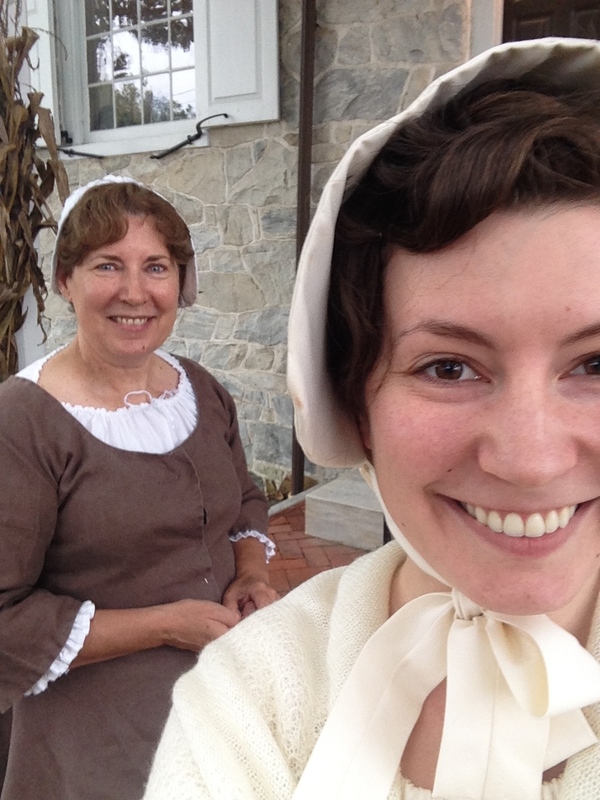 An old Quaker selfie. Time now to rest these old weary bones! Wish I could have been there! SO much work. Great job. Thanks! Wish you could have been there too. Maybe another year! What next?! Dear blogging friend, I do hope you come up with another focus for your daily blogs. I love reading them!